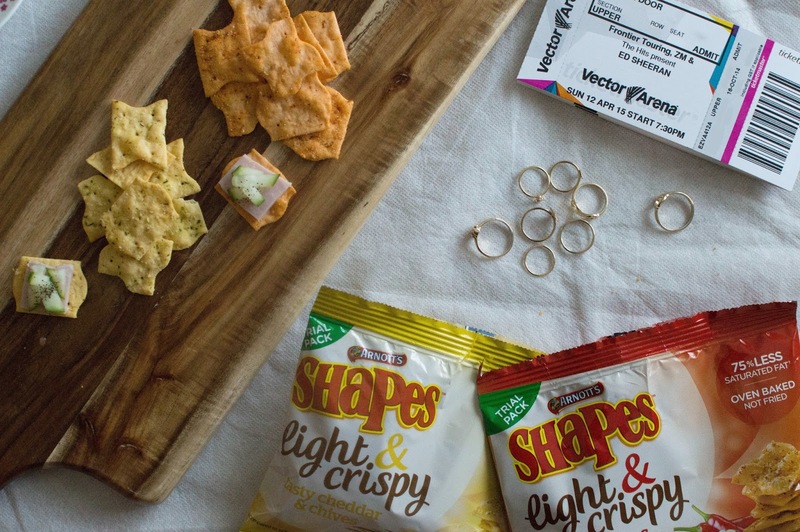 the new arnotts shapes light and crispy in two flavours! sweet chilli and sour cream + tasty cheddar and chives. i'm already a shapes fan (cheese and bacon shapes anyone?!) but these thinner crackers are a different story. with 75% less saturated fat than normal potato chips, they make for a healthier alternative when you're just craving a little something. the name says it all. 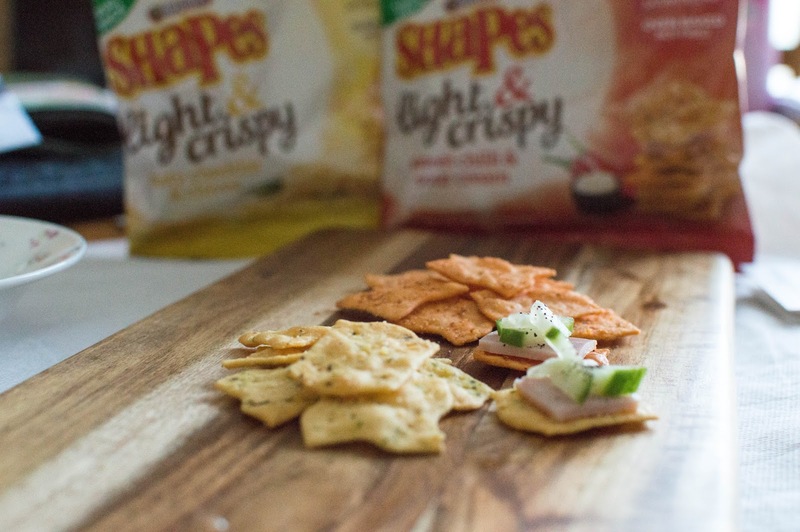 these new shapes are light, crisp and taste good on their own or with cute little toppings! 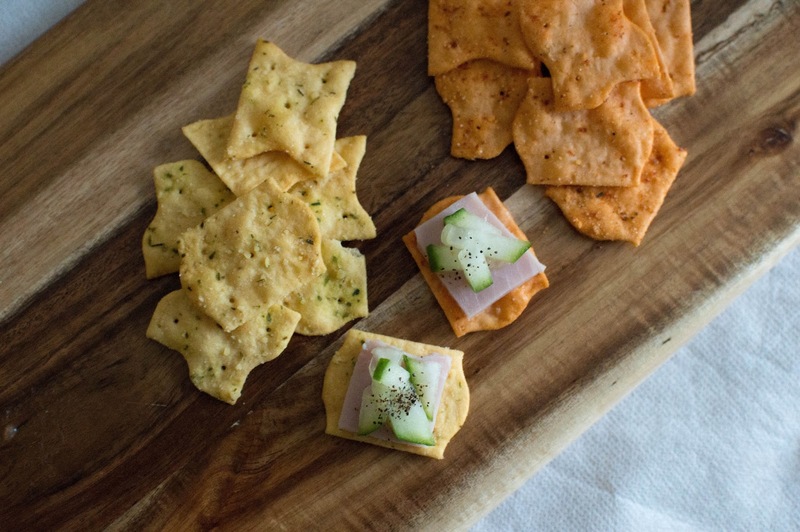 they make a perfect bite-sized treat for a lazy afternoon off — or actually any time at all. super huge thank you to nzgirl, for sending these out to me!